Help! Someone has registered my trade mark in China! So you have taken the leap and launched your business in China, but you have forgotten to register to your trade mark and someone else has beaten you to it, what do you do? A month into 2017, and firmly back into the swing things, we’ve decided to highlight 3 key business trends to look out for and take advantage of in 2017. If you were tasked with finding 10 startup hotspots and pointing them out on a map of the world, the chances are that Perth Australia wouldn’t be your 1st, 2nd or even 10th choice. For years Western Australia’s traditional resources economy has been the most dominant, meaning that incentives, funding, education, culture and risk were previously the main reasons for avoiding startups. When Ranjeev Sidhu (an Accountant and e-commerce expert) met Josh Fernandes (a professional photographer) and Tom Riordan (Project Manager of Formalytics) at Spacecubed, they instantly clicked, sharing the same passions, interests and hobbies. Spacecubed has been open for four years this year, and to celebrate, we ran our 100 members in 100 days challenge. During the challenge, we increased our membership base and key entrepreneurial and business networks by 119 exciting new members, seeing our community grow not only in size, but in networking value too. Think back to 10 years ago, and think about the way people worked. Was it different from today? Yes? What’s changed? Perhaps you think this difference is down to the job title you held, or your level of seniority since climbing up that slippery career ladder. Or, perhaps you’ve put the change down to having dabbled between industries and you now work in a different sector, or own your own business. Last week, Spacecubed were visited by The IT Angels from Mercedes College. Over the month of August, our 7 Vocus Upstart teams have been tried, tested and tried again in their most challenging and exciting startup quest yet. Just recently, as networking opportunities have increased at FLUX and Spacecubed due to our growing member base, we’ve had a lot of interest in marketing and seen a greater demand for marketing workshops. GovHack is back and it’s more exciting than ever before. With unseen and exciting new data sets from State agencies participating in GovHack for the first time, GovHack 2016 will open your eyes to the potential uses for government data in society. Last night, we launched our latest programme in partnership with HBF, Western Australia’s leading health insurance provider. 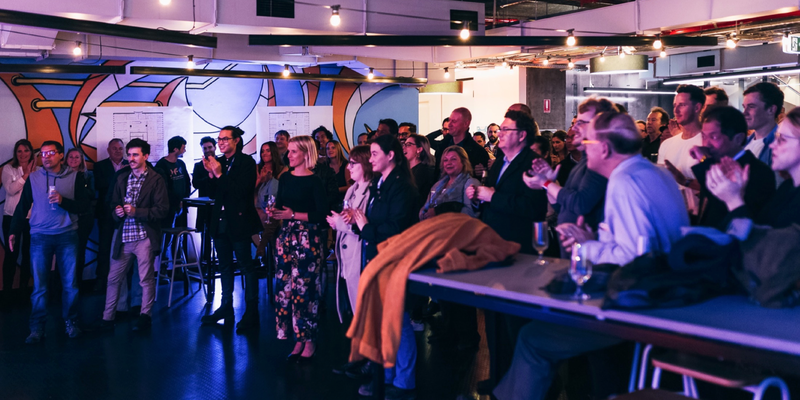 The HBF Activate information night saw over 100 budding and established entrepreneurs, experienced health sector professionals and some of Perth’s brightest minds attend, all eager to get started and collaborate in innovating health. How are corporates using coworking to drive growth, collaboration and innovation? A worker’s close proximity to others from a diverse range of industries, their diverse backgrounds and brand affiliation and belonging to a membership based community of changemakers, innovators and entrepreneurs, this is what defines the modern coworker. The coworker pursues goals, collaborates, networks, is constantly seeking professional development and attending events, and uses the workspace to suit their working style enhancing productivity. With our community recently growing by 75 members in just 73 days midway through the 100 members in 100 days campaign, we now have over 800 business teams as part of our community and are well on our way to achieving our goal of supporting 20,000 entrepreneurs by 2025. Spacecubed members are creating their own path on the road to becoming true innovators, like Unearthed, disrupting the mining industry and running successful hackathon models Australia wide. There’s a special vibe found in the coworking space that blends productivity with networking. A study by the Harvard Business Review found that on a scale out of 7, people using coworking spaces ranked an average score of 6 in terms of their productivity in the workplace - that’s one point higher than the conventional office environment. Are you a business development and marketing whizz? Spacecubed is looking for an experienced business development coordinator who has proven experience in sales strategy, including developing new and existing products. 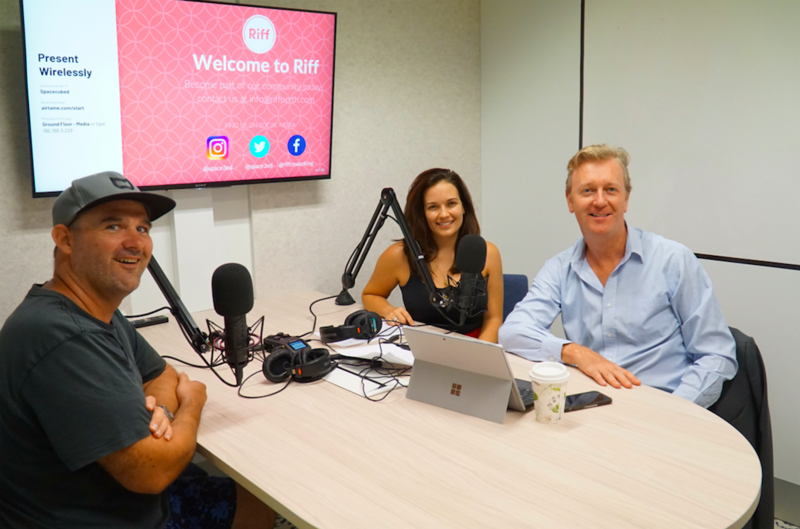 Beginning in March, Bloom, a venture founded to encourage young West Australians to put their startup and business ideas into practice, arelaunching a unique business building program called The Bloom Incubator. The WA Innovator of the Year Program is now in its fourth year and continues to raise the profile of innovation in Western Australia by supporting the delivery of government initiatives to advance the growth of the State’s innovation-based industries.